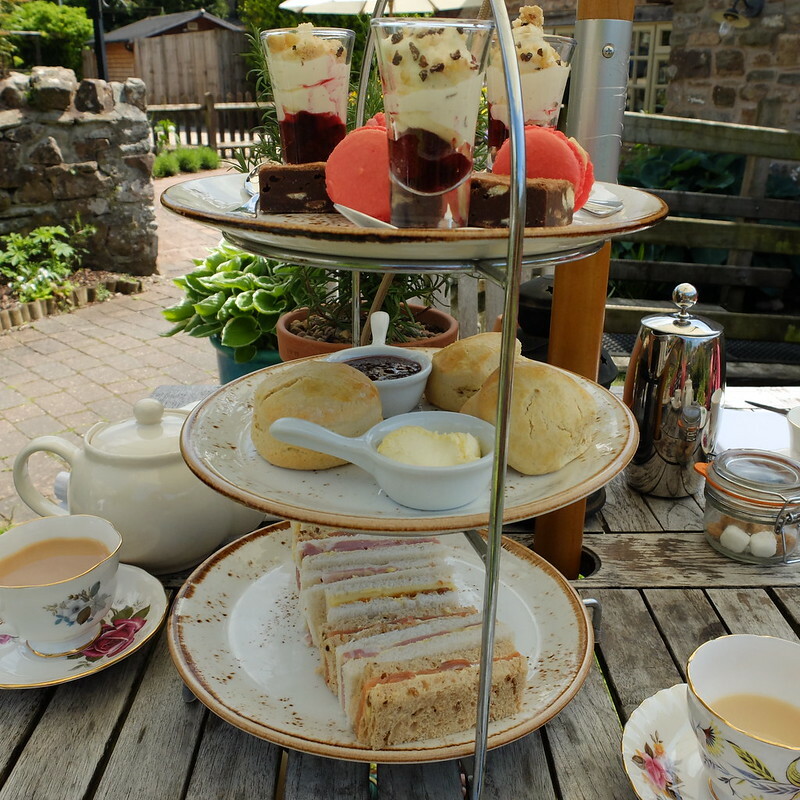 Today's afternoon tea review is of Tudor Farmhouse, in the village of Clearwell in the Forest of Dean on the Welsh-English border. A former working farm, it's now a boutique hotel, housed in an extended 15th century building with cottages in the pretty grounds. An old friend moved to this beautiful part of the forest a few years ago, and it was high time I paid her another visit. Her sister was also visiting, so it was three of us for tea. 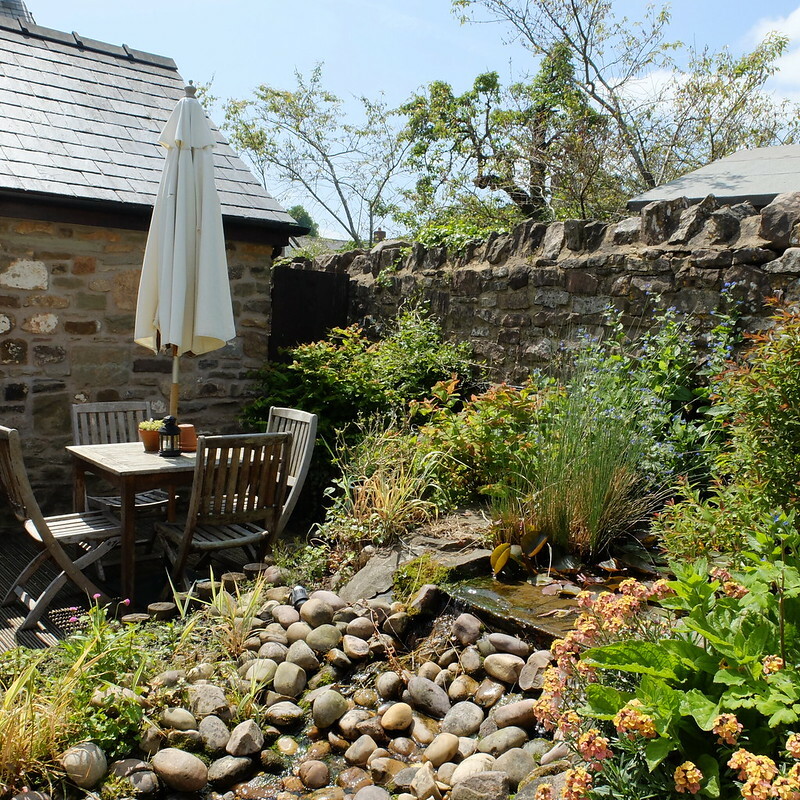 When we arrived at Tudor Farmhouse, we were told that the table had been set up for is in the front lounge, but it was such a glorious day that we asked if we could sit in the cottage garden instead and were happily accommodated. The interiors were very cosy looking, I bet they'd be great on a winter's day when there's a gale blowing outside and a fire roaring inside. On a sunny day though, there couldn't have been a more perfect spot that a traditional cottage garden for afternoon tea, complete with a little stream. 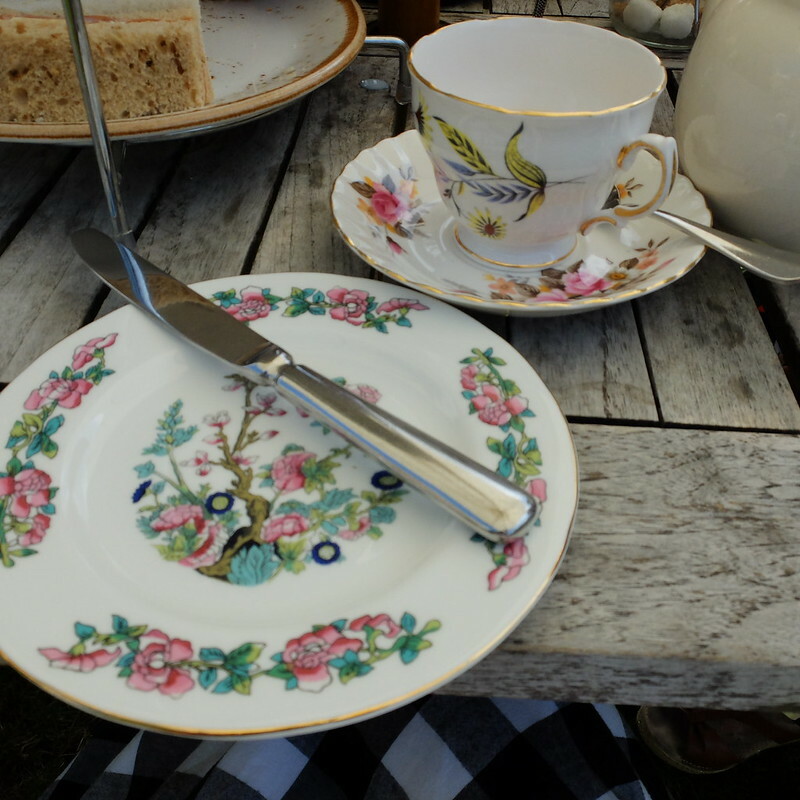 I don't know if it's a sign of age, but I'm leaning more towards afternoon teas in rural garden settings these days rather than the urban hotels that I have been to in the past. 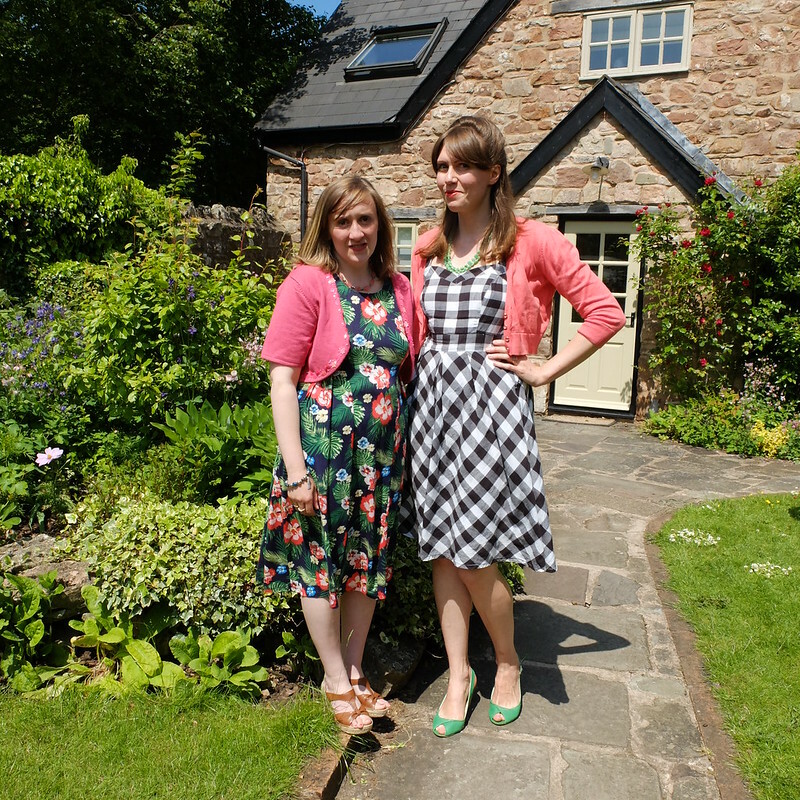 The checked dress is an old favourite I've previously shown you here and here. 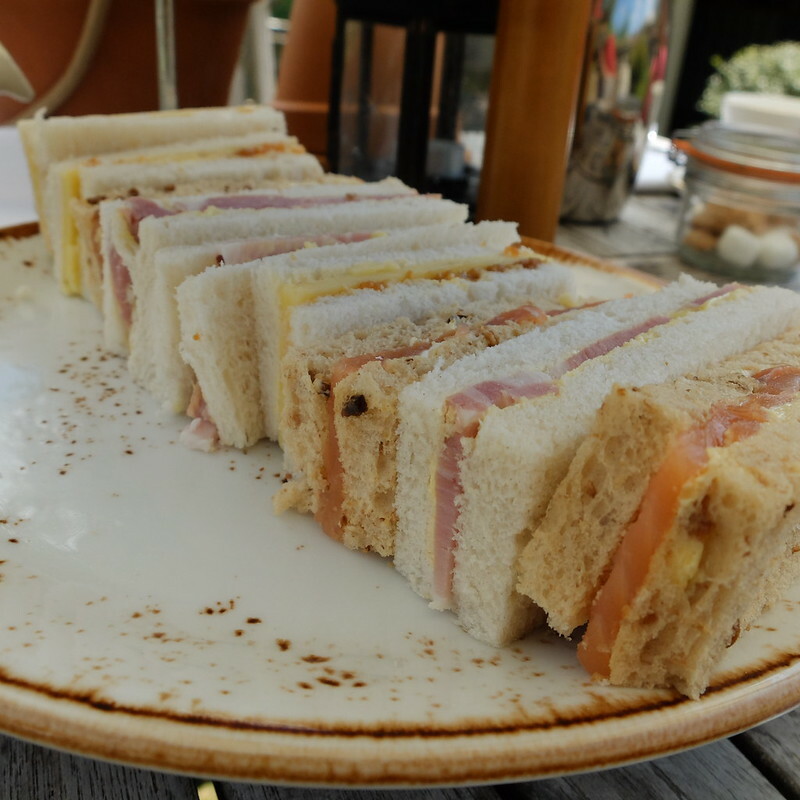 There were three finger sandwiches each (salmon, ham and mustard, and cheese and chutney) and they were very nice indeed. The scones were still warm, and were good. I did have to ask for more clotted cream and jam, as there wasn't enough to go between three of us. As for the top tier, we each had a little trifle in a glass, a macaroon, and a dense slice of something chocolatey and nutty. My favourite was the trifle, which had a lovely vanilla cream on top and fresh berries underneath. Really yummy. I also liked the chocolatey cake, but I have to admit the macaroon type thing was my least favourite (it was weirdly chewy and tasted a bit odd to me, but my companions really liked it). Staff were friendly, someone came and put a parasol up for us, the waitress quickly brought whatever we asked for, and they didn't rush us. 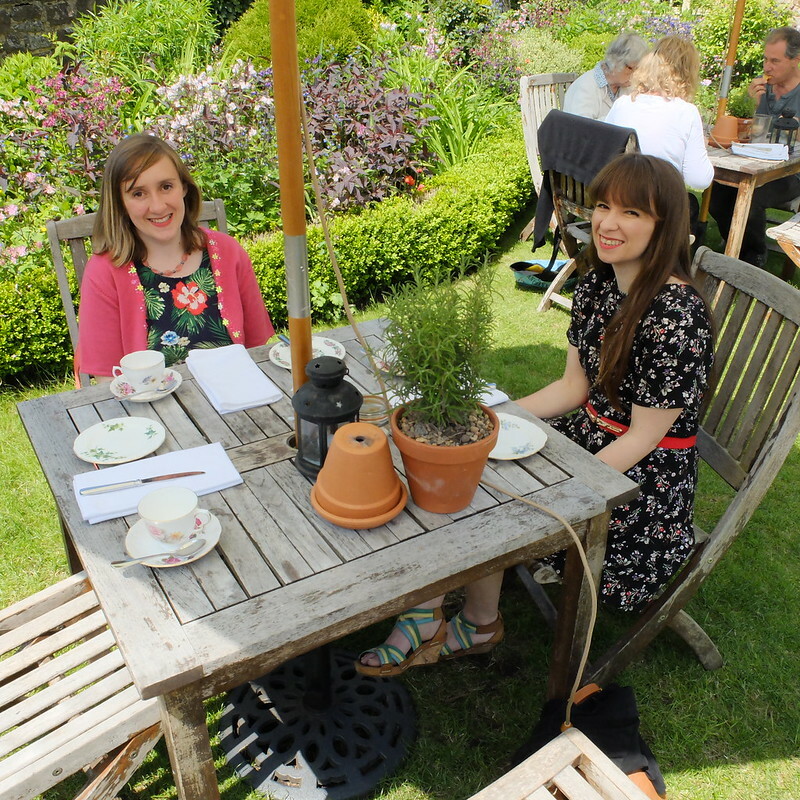 The tea was definitely not of the same generous proportions I've had elsewhere, but I have to say that for a warm summer's day, the amount was just perfect. If it was winter, I'd want more sandwiches, two scones, and a bit more cake. 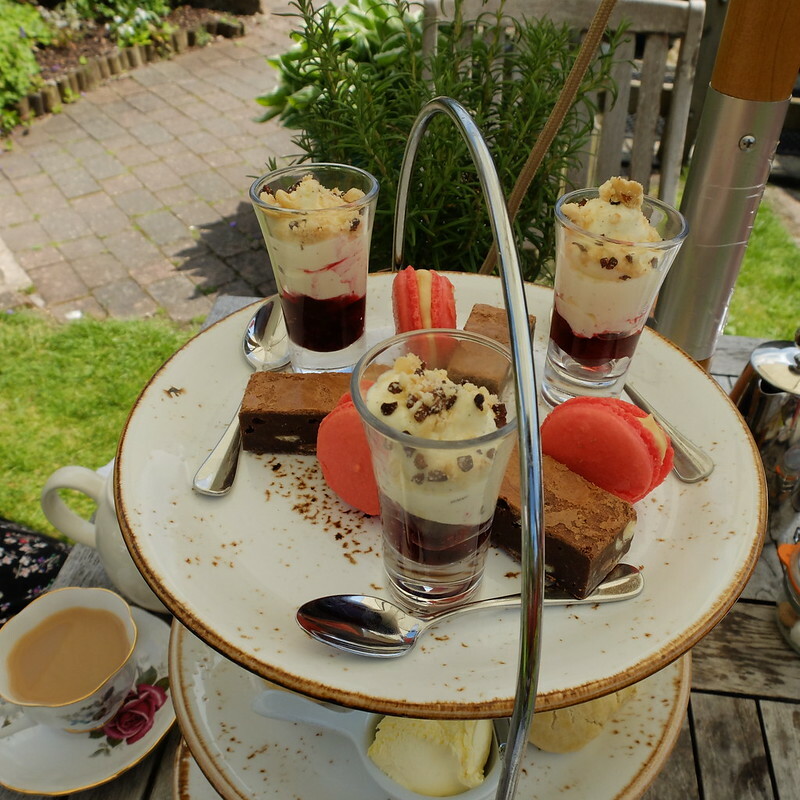 Usually when there's three of us for afternoon tea, it doesn't all fit on one cake-stand, but this one did. But, you should know that the tea is priced only at £12.50 per person! So, it's good value, and I would definitely recommend this pretty spot for your next afternoon tea outing. It's funny how much I enjoy reading your afternoon tea reviews. Like, I know I'm not going to go to any of these places (most likely), but they always make me daydream that I'm living somewhere in the English countryside, sipping tea and eating finger sandwiches. It's a pretty good daydream. 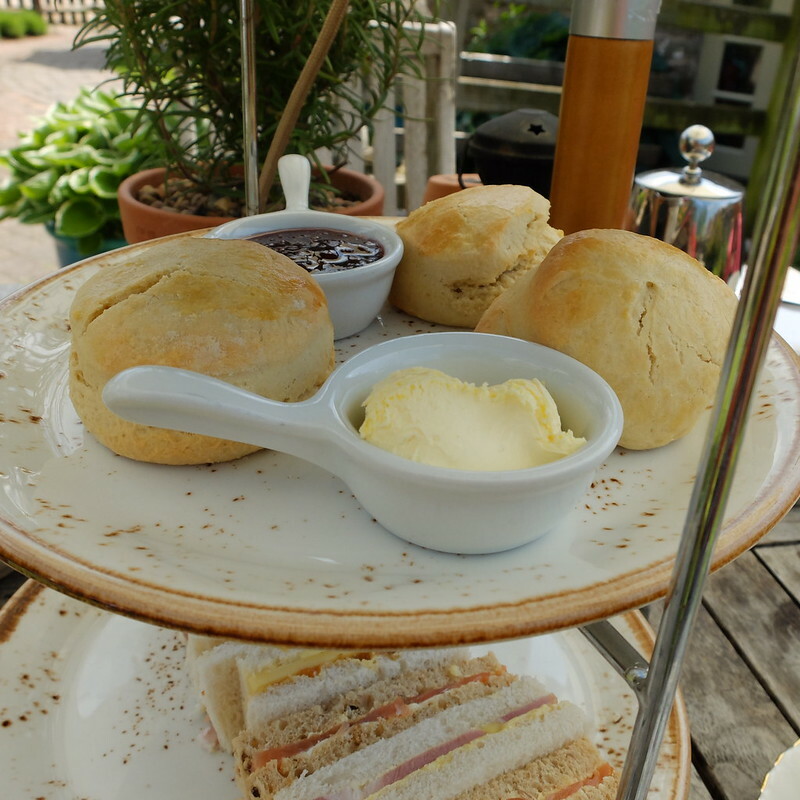 This was the first tea in the UK I've had with a one-scone serving actually, so not the norm here either! A brilliant review! I want to eat it all again after reading the descriptions! It looks a lovely setting, though I would want more food! I guess it's becoming more and more difficult to find complete sets of vintage china nowadays, though styles like Royal Albert 'Old Country Roses' aren't that old and are fairly commonplace.